In February 1995, I did a boat trip along the Pacific Coast of Baja California (Mexico), in particular to watch the gray whales in the lagoons. 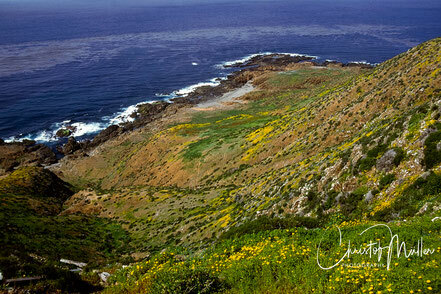 On the way along the Mexican Pacific Coast from San Diego (USA) heading South with The Searcher we landed at West San Benito Island, one of the three San Benito Islands and home of the largest concentration of the Northern Elephant Seals. Adult male northern elephant seals are gigantic, much larger than the females. They reach up to 4,5 meters (16 feet in length) and over 2,500 tons (5,500 pounds). What is miraculous about this largest species of pinnipeds is that they were hunted to the edge of extinction and only a few species survived. 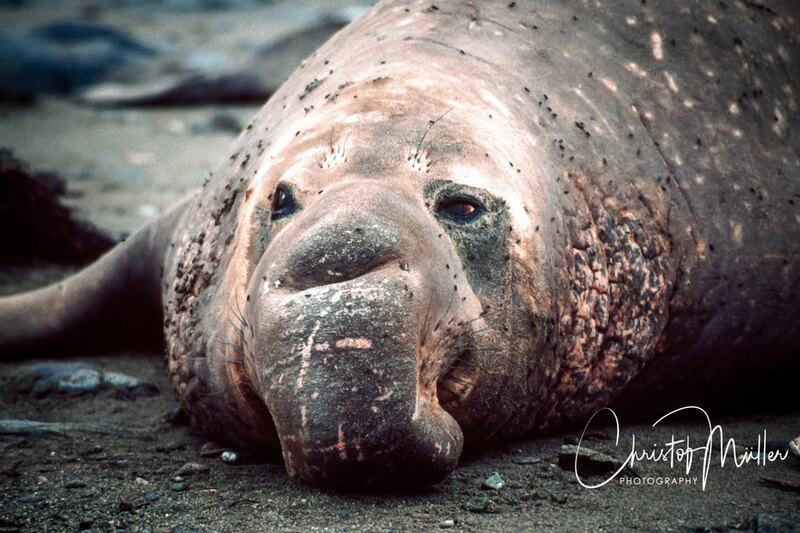 Since it was not worth to continue to hunt them in an economic sense, the few ones who survived recovered remarkably and due to their protection there are thousands of elephant seals on the islands. [N.B. :Reviewing my text now in december 2018, due to climate change and the warming up of the surface of the Pacific, the numbers of elephant seals are apparently again decreasing].